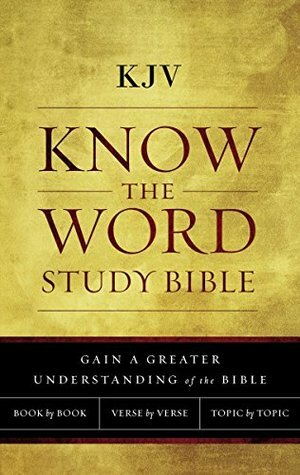 KJV Know the Word Study Bible (2017) by Thomas Nelson Publishers is an excellent new study Bible that just hit markets on September 12, 2017. As of right now, this Bible comes in Hardback and eBook format. I love this study Bible so much that I have added it to my daily Bible studies as one of the two Bibles I consult (I also use an ESV study Bible). I received a free copy of this study Bible from Thomas Nelson Publishers. In no way has this influenced my opinion. All opinions expressed here in this review are my own. I give this study Bible 4.5 STARS. I’ve never reviewed a Bible before, so I’m going to do this a little differently than my typical fiction reviews. 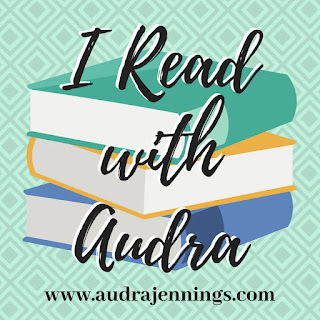 In this review, I am going to discuss PROS vs. CONS. I love that this Bible lays flat. This may be a minor thing to like, but I can’t stand when I’m deep into a Bible study and my pages are all over the place because the Bible’s spine is not a lay-flat spine. It’s frustrating when you’re on a roll in your studies and then realize your page is missing because your Bible closed on you! I love the study notes at the bottom of each page. Some seriously interesting facts are included. For example, what you see in the pictures are my notes in Jonah. I’ve read Jonah many times for various studies, and thought I knew Jonah pretty well. This Bible is a WORD study Bible, which means it teaches about the original Hebrew, Aramaic, and Greek as Jesus would have been familiar with in His day. In Jonah 1, the Gentiles on the boat with Jonah have a conversion moment. Later in Jonah, the Ninevites have a conversion moment, too. According to the study notes, the Hebrew word used when the Gentiles on the boat have their conversion refers to a total heart transformation, but the Hebrew word used later for the Ninevites illustrates a temporary heart transformation, which is why the Ninevites are later brought to destruction. We don’t see any of this in the English translation though! I love the information inserts on many of the pages throughout each book. They add to the passages thematically, historically, etc. I feel these information inserts are very helpful in personal and small-group Bible studies. This Bible comes in a KJV translation only, which is not my favorite. I find it hard to interpret and cumbersome. This Bible is severely limited in space. There is very little room for annotations and comments, hence the Post-it Note. I really like this Bible, and already include it as part of my daily Bible studies. I think the knowledge gained through the study notes at the bottom of each page make my CONS insignificant. I am a firm believer that multiple translations should be used during Bible study, unless you are fluent in Hebrew. If you are, then you should read God’s Word in God’s language. But, if you are like me and foreign languages confound you, then I do recommend you add this translation to your current repertoire. Welcome to HIS Encouragement Thursdays!